Before you decide to start looking for an RV, figure out what type of motorhome or trailer will best suit your lifestyle. If possible, rent or borrow an RV and take it on a weekend excursion to see what you’re comfortable with. Can you drive a 40-foot rig? Do you enjoy camping in smaller vehicles, or do you need more space? What floor plan is most convenient for you? When you have what you’re looking for in mind, establish a budget for yourself. Remind yourself of your budget while shopping for RVs and don’t exceed it. This will prevent you from overspending. You can also request quotes from your insurance company to determine what your insurance will cover. There are plenty of RV listings online, from websites like eBay and craigslist to RVT and Camping World. 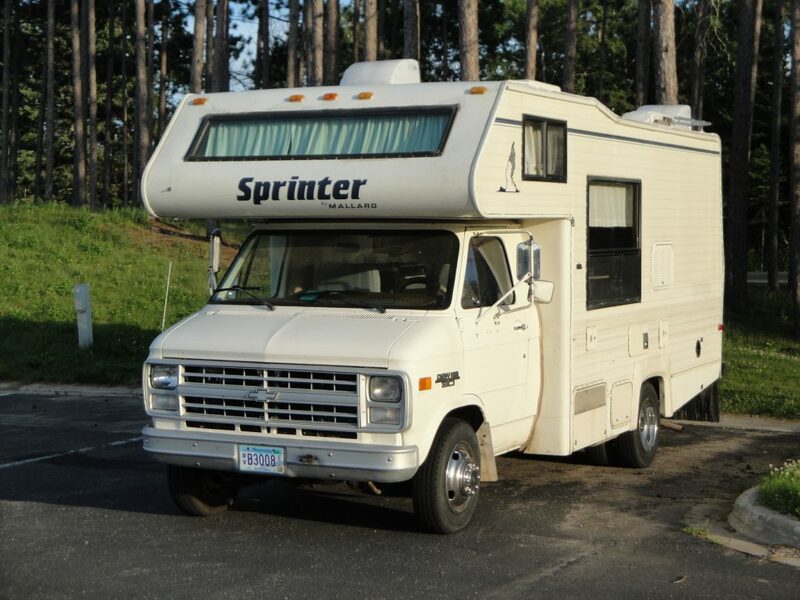 You can also find classifieds on RV forums like Airstream Classifieds and iRV2. Shop around locally and pay attention to current prices and market values. Do some research to educate yourself; you’ll feel much more prepared to bargain. Remember that low prices and gas mileage are not always a good sign. Why does the owner want to get rid of the vehicle so quickly? Why didn’t they drive it often? Are there issues with handling? RVchecks offers $25 history reports for some vehicles. The more you find out about the RV’s history, the less likely you’ll be to buy a piece of junk. When shopping for a used vehicle, you have two choices. You can visit a pre-owned RV dealership, or you can buy from a private owner. 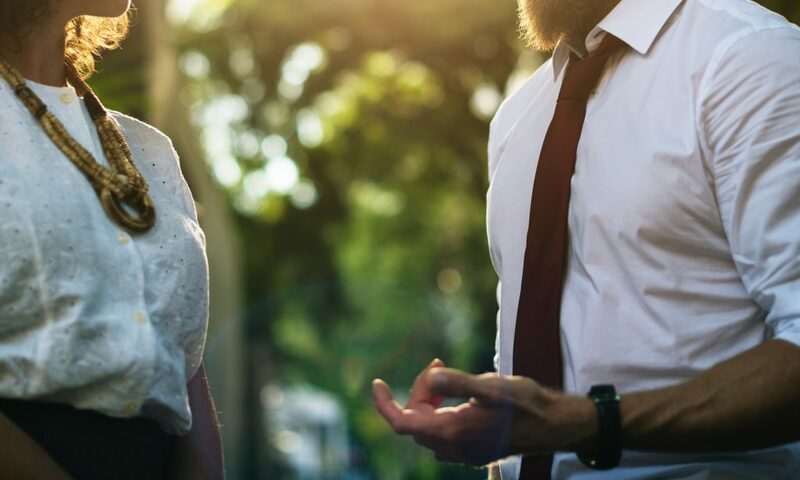 Private purchases through craigslist or another site are better in many ways since they put the seller and the buyer at the same level of experience. There is more freedom to negotiate, as the seller is usually eager to get rid of the large RV taking up their yard. For even more bargaining leverage, you can offer to pay in cash and take the vehicle immediately. Oftentimes you will pay a much lower price when buying from a private source. Alternatively, you can visit a dealer, who will most likely mark up the price for pre-owned RVs. 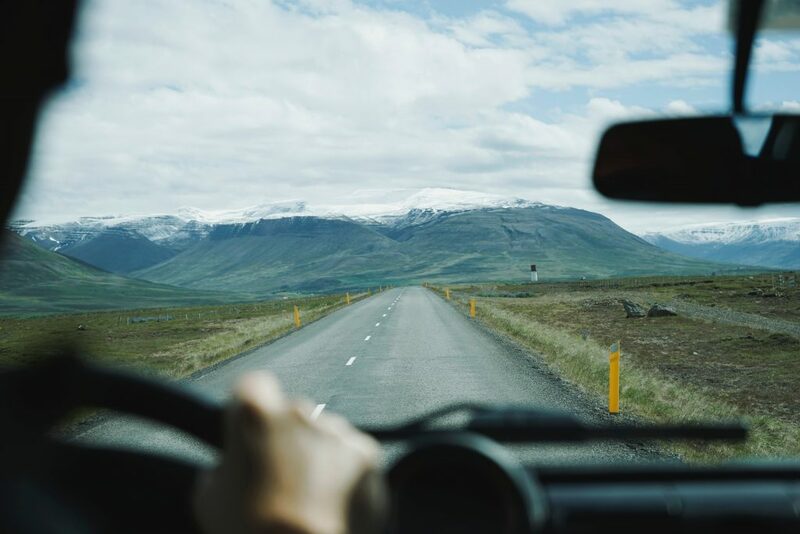 However, if it is your first time purchasing an RV, you might feel more comfortable buying from an RV dealer without having to conduct a full inspection. If you decide to buy from a private source, always ask to take a look at the vehicle. 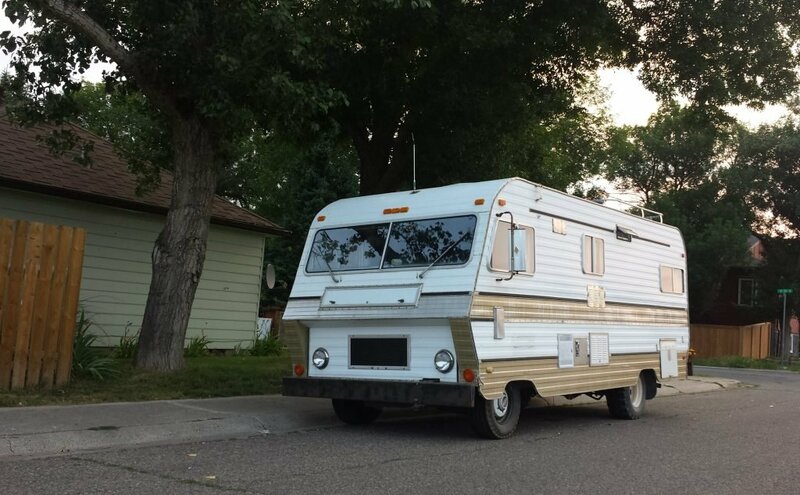 Never purchase a used RV without thoroughly inspecting it! 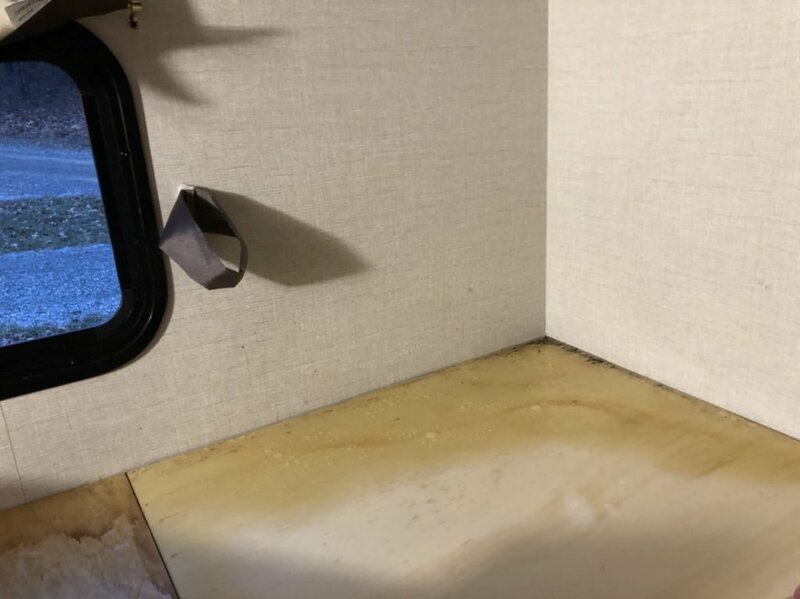 One of the biggest reasons to avoid buying an RV is if it has water damage. Walk through the rig, checking for mold, bubbling, and rot in all corners. Check for soft spots on the walls and around bathroom fixtures. If you see brown spots on the floor or ceiling, rust on the exterior screws, or dips in the roof, you should probably steer clear. Don’t be afraid to peer into cupboards and closets with a flashlight and stand in the shower to check its size. Jump on the floor and push on the walls to test structural integrity. It’s also important to climb onto the roof and examine the seals. If the caulking appears crumbly or blackened, there’s a good chance that the roof will leak. While you’re up there, check the ladder for loose screws. Remove all vent covers and take a look at the seams underneath. If possible, use a garden hose to spray the roof and windows, then check for leaks inside. Ask the owner to pop the hood so that you can check the RV’s oil. If there is engine damage, the oil will smell burnt. Check the power cord and battery bank, and make sure the battery is running at 12.6-12.8 volts. If the date on the battery is older than 7 years, it needs to be replaced. Examine the tires as well; the last two digits on the inscription will tell you the year they were manufactured. If the tires were made more than 5 years ago, they need to be replaced. Before purchasing, ask the owner to let you take the rig on a test drive. If they won’t let you test it, don’t buy it! Drive at top speeds on the freeway and practice maneuvering in an empty parking lot. You may also want to have the owner drive part of the time and experience the ride from the passenger’s seat. Check for odd noises or jolts while driving, and make sure that all systems are operational. After the test drive, make sure to run all other functions and look for issues. Check that all locks and latches are secure, and turn on light fixtures. Run all electrical systems, including air conditioning and heater. Check awnings for proper function and make sure that no tears are present. If the RV has slide outs, make sure that they are fully operational and without damage. Inspect tanks and water heater for any leaks and check the plumbing as well. Check the water pump and turn on all faucets. Turn on the oven and stove and sniff around for any propane leaks. If you find a few minor problems during your inspection, don’t panic. You may still get a good deal, though you will have to pay a little extra to fix the issues. Estimate repair costs and add them to the seller’s price to determine whether the purchase is worthwhile. You may even be able to point out problems that the seller had missed and use them to your bargaining advantage. One last step you should be sure to follow is to ask questions. Before starting your interrogation, make sure the person who is showing you the RV actually is the owner, not some friend or relative who happened to be available. The owner’s mother is not likely to know much about the RV and most likely won’t be able to answer your questions. You should also make sure that the RV’s vehicle identification number (VIN) matches the registration and paperwork with the owner’s name. If the owner can’t provide you with the vehicle’s registration, steer clear. Asking about the RV’s history can provide you with valuable information about the quality of the vehicle. How many people have owned the RV? If it has been through several owners and is still in good condition, chances are that it will last longer. Have animals lived in the RV? This is a very important question to ask if you are allergic. Has anyone smoked in the RV? Did its past owners take good care of it and regularly check the safety features? Has the RV spent a lot of time in areas with extreme weather? Ask about warranties, past repairs, and the reason that the owner is selling it. If you follow these steps when buying a used RV, you’ll find that it’s possible to own a high-quality rig without spending a fortune. If you remember what to look for and what to avoid, your next purchase will be a walk in the park…the RV park. Read this article from Do It Yourself RV on why you should never buy an RV brand new. One of the additional benefits of buying used is the previous own may have worked many of the bugs out – seems like very few new RVs are bug free. I would look for a unit that was owned by a handyman or mechanically-inclined person who was diligent about maintenance, and a unit that was kept under cover when not being used. Often, these sellers will be asking a little bit more but you will probably make up for that with fewer repairs. Enjoy and learn so much from this site! Thank you Rebecca! I’m glad to hear that this site is informative for you. As a brand newbie, who’s in the shopping stage, I needed a post like this! Thanks! Thanks Jerry, that’s great to hear! I respectfully agree with most of your assessment in buying a used RV but you really downplay purchasing a used RV from a dealer. The benefits of buying from a quality established RV dealer are many. you mention inspecting the RV. A good dealer does this for you and will find and repair anything needed to the proper use of the RV. Water damage I would argue is the most important inspection you need to do. Again, the dealer will do this and reseal as needed. Tires are a safety item and the dealer will not allow a tires to be weather checked or too old. The chassis on a used motor home in most states must be inspected and a Used Vehicle Disclosure completed by certified mechanic and the final report is posted in the RV so this is yet another safety item that gives the buyer some peace of mind. Lastly, many dealers will provide a limited warranty on a used RV. No private owner will give you any promise or warranty. Lastly, the dealer will mark the RV up of course but given the process a dealer goes through to make any used RV ready for the customer is worth the little extra you may or may not pay. This is the “the rest of the story” so to speak . I would suggest to you that buying on Craigslist or ebay is a very risky proposition buying a large ticket item like an RV. You may end up with something that costs you far more to repair than to get in it working condition that you think. This advice comes from an RV dealer whose been doing this for more than 50 years now. The key words the Wegge’s used were ” quality established RV dealer” About 5 years ago I bought my 2003 Rig with 9000 miles on it from the St. Augustine Camping World. Two months later after removing a dinette cushion I discovered long and established wall and floor water damage. I bought the Rig as is so I had to eat the $7000 repair. Shortly after I sank another Grand on front tires (weathered) And not long after that the rear tires had to be replaced do to age. Hopefully someone will learn from my novice costly mistakes. This column, as well as the Wegge’s Reply are spot on.. Thanks for sharing your experience with us, Terry! I’m glad you enjoyed this article. Thank you for the feedback, I appreciate your advice and I’m sure other RVers will as well. In Los Angeles County it is hard to find a “quality established RV dealer”. I have visited most LA and Orange county dealers and have found most of the “sales associates” have minimal knowledge of new and used units. A search of the dealers website usually shows buyers comments are largely negative. So much for buying from a local dealer.